It measures 40 billion km across - three million times the size of the Earth - and has been described by scientists as “a monster”. 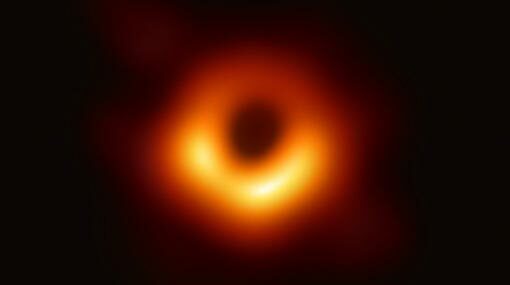 The image shows an intensely bright “ring of fire”, as Prof Falcke describes it, surrounding a perfectly circular dark hole. The bright halo is caused by superheated gas falling into the hole. The light is brighter than all the billions of other stars in the galaxy combined - which is why it can be seen at such distance from Earth. The information they gathered was too much to be sent across the internet. Instead, the data was stored on hundreds of hard drives that were flown to a central processing centres in Boston, US, and Bonn, Germany, to assemble the information. Katie Bouman a PhD student at MIT developed an algorithm that pieced together the data from the EHT. Without her contribution the project would not have been possible. Prof Doeleman described the achievement as “an extraordinary scientific feat”.